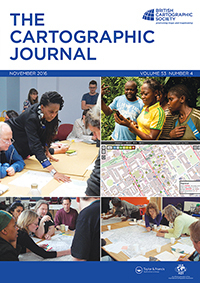 Part of the special issue on Public Participation GIS that was published in The Cartographic Journal, was a paper that was led by Jeroen Verplanke (ITC). This paper goes back to the workshop on participatory GIS in 2013, that was the leaving event for Dr Mike McCall in ITC, after which he continue to work in UNAM, Mexico. Since the symposium in June 2013, we developed the paper, trying to find the path and linkage between the area of Participatory GIS (the variety of Public Participation GIS in development context) and the crowdsourced world of Volunteered Geographic Information. The paper itself can be accessed here (it should become open access soon) and if you don’t have access, email me and I’ll send you a copy.